The National Lacrosse League (N.L.L.) handed out a few suspensions stemming from the fall-out in the final moments of the Christmas Showdown game on December 16th 2016 versus the Calgary Roughnecks. Rush goaltender Aaron Bold and forward Ben McIntosh will each miss one game in the 2017 season. Bold was assessed a match penalty for participating in the second fight after an initial confrontation. Their Calgary counterparts, Frank Scigliano, Greg Harnett, and Garett McIntosh each also received a one game suspension for the 2017 season. The two teams won’t meet again until February 4th in Calgary. At that time, the Rush will aim to keep the rivalry swayed in their favour. 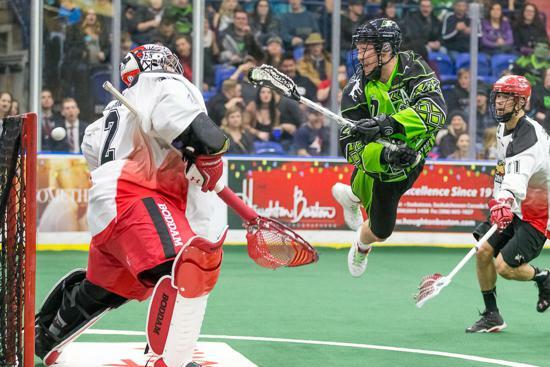 For the first time in franchise history, the Rush swept the season-series against the Roughnecks in 2016, and over the past two seasons, Saskatchewan has won six straight regular-season games and four of five playoff meetings. “The rivalry between us and Calgary is the same regardless of whether or not a line brawl breaks out,” said Rush defenceman Jeff Cornwall, who was subjected to a headshot elbow in the Christmas Showdown from Greg Harnett.